Sally, a 56 year old retired real estate agent, came to see me in the office with the chief complaint of hot flashes, night sweats, mood disturbance and weight gain which are all fairly typical post-menopausal symptoms. In addition, she also had leg pain for the past 3 months, which prevented exercising. Lumbar Spine MRI Scan to evaluate the leg pain showed only a bulging disk and was otherwise negative. About 6 months ago, Sally’s cholesterol was 245, and her cardiologist prescribed a cholesterol lowering statin drug, Crestor. Sally has no history of heart disease, does not smoke, eats a healthy diet, and takes a few vitamins, and doesn’t supplement with CoEnzyme Q-10. I explained to Sally that her leg pain was a well known adverse side effect of Crestor, a valid reason for stopping the drug. The leg muscle pain is caused by Statin Drug depletion of Co-Enzyme Q 10, which is important for energy production in the muscle cells. I suggested to Sally that she supplement with CO-enzyme Q-10, and strongly recommended stopping the statin drug. What is the definition of elevated cholesterol? A 2006 paper in the Annals of Internal Medicine (October 3, 2006; 145(7): 520-530) argues that there is NO EVIDENCE to support the target numbers outlined by the Cholesterol Guidelines panel, challenging the mainstream medical belief that lower cholesterol levels are always better. “This paper is not arguing that there is strong evidence against the LDL targets, but rather that there’s no evidence for them,” said Dr. Rodney A. Hayward, a study author. A 2004 petition letter to the NIH by 30 prominent MD’s complains about the faulty Cholesterol Guidelines and asks for a revision. A cholesterol of 240 is NOT ELEVATED. This is normal and compatible with good health. The reality is that there is no mortality benefit from lowering cholesterol with statin drugs: Both lines on the mortality chart below are superimposed meaning the number of deaths in the statin drug group was identical to the number of deaths in the placebo group. Chart Courtesy of (Eddie Vos). Analyzing data from five statin drug studies (4S, WOSCOPS, CARE, TEXCAPS/AFCAPS and LIPID), Peter R Jackson found a 1% increase in mortality after 10 years on statin drugs in people with no pre-existing heart disease (primary prevention)(38). Just say NO When Your Doctor Prescribes a Statin Drug. 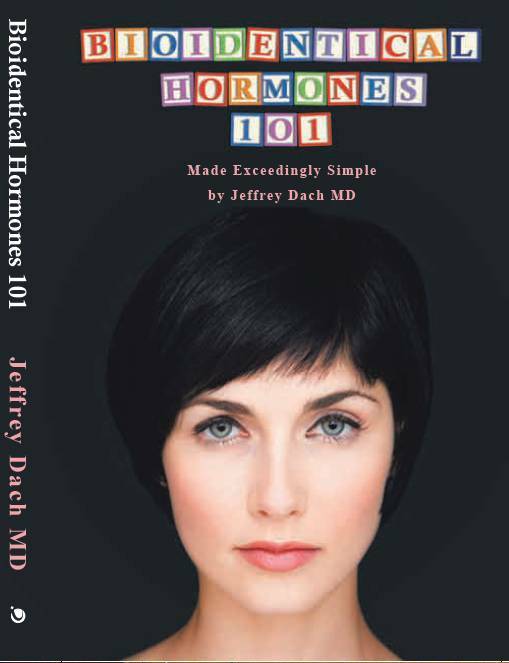 The truth is that NO woman should ever be given Lipitor or any other statin drug for elevated cholesterol. Dr. Rose says, “There are no statin trials with even the slightest hint of a mortality benefit in women and women should be told so”. (5). In other words, statin drugs don’t work for women. Let me repeat that so this is very clear: No female should ever take a statin drug to lower cholesterol for primary prevention of heart disease. They don’t work for women. Women who take Lipitor or any other statin drug to lower cholesterol do not live any longer than women who don’t take the drug. There is no benefit in terms of prolonging your life for women. On the other hand, there are plenty of adverse side effects which include muscle pain, cognitive impairment, neuropathy, congestive heart failure, transient global amnesia, dementia, cancer and erectile dysfunction (impotence).Read about Statin Drug adverse side effects on this message board and this message board. The side effects are thought to be caused by Co-Enzyme Q10 depletion. Why do cardiologists and mainstream docs continue to prescribe statins to women? It is very simple, they succumb to the drug company “spin” from the drug reps and the medical journals which are slanted in favor of statins. In addition, the mainstream doctors succumb to patient’s demands and expectations for the drugs after seeing the celebrity TV ads. Translation: Cholesterol lowering with statin drugs does not reduce total mortality in women, PERIOD. It doesn’t reduce mortality in women without heart disease, called primary prevention. It doesn’t reduce mortality in women with heart disease, called secondary prevention. Note: Secondary prevention means women with known heart disease. Primary prevention means women without known heart disease. Quote:”Regarding women, two 2004 analysis found no reduction in deaths from statin over placebo. In actual patient outcomes, the J-LIT study in 41,801 hypercholesterolemic Japanese (2/3rds women) found mortality in the 2 lowest on-statin cholesterol categories 2-3 times higher; its authors cautioned about ‘hyperresponders’ to statin. The 4S study ended with 3 more dead women on statin vs. placebo, and another ‘successful’ study, HPS, found no significant mortality benefit in women.” See article for references. Quote:” No studies have shown statin cholesterol-lowering drugs to be effective for women at any age, nor for men 69 years of age or older, who do not already have heart disease or diabetes. Better than 50 adults have to take a cholesterol-lowering drug for 1 patient to avoid a mortal heart attack, and that figure only applies to high-risk patients. 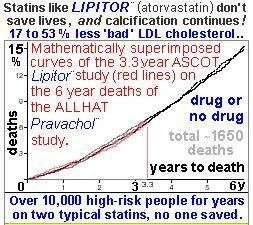 There is a vanishing benefit to lowering cholesterol for healthy adults.” [Lancet 2007; 369:168-169]. Dr. John Abramson joins with 30 more eminent MD’s in this Sept 2004 letter to the NIH calling for a complete revision of the faulty cholesterol treatment guidelines. The New York Times Questions the Value of Lowering Cholesterol with Statin Drugs !! “In the last 13 months, however, the failures of two important clinical trials have thrown that hypothesis into question. (that cholesterol lowering is beneficial). First, Pfizer stopped development of its experimental cholesterol drug torcetrapib in December 2006, when a trial involving 15,000 patients showed that the medicine caused heart attacks and strokes. That trial — somewhat unusual in that it was conducted before Pfizer sought F.D.A. approval — also showed that torcetrapib lowered LDL cholesterol while raising HDL, or good cholesterol. Torcetrapib’s failure, Dr. Taylor said, shows that lowering cholesterol alone does not prove a drug will benefit patients. Then, on Monday, Merck and Schering-Plough announced that Vytorin, which combines Zetia with Zocor, had failed to reduce the growth of fatty arterial plaque in a trial of 720 patients. In fact, patients taking Vytorin actually had more plaque growth than those who took Zocor alone. 1) Senator John Dingell’s House Committee of Energy and Commerce has recently subpoenaed both Merck and Pfizer. Merck’s subpoena investigates the Vytorin – Enhance scandal and Pfizer’s subpoena investigates the Jarvik-Lipitor Celebrity Ads. Dingell wants to know why Jarvik was selected as spokeman for Lipitor even though Jarvik was never licensed to practiced medicine. 2) The Attorney General has a few questions: The Enhance Vytorin scandal has prompted New York Attorney General Andrew Cuomo to issue a subpeana to Merck & Co and Schering-Plough Corp to investigate the allegations of deceitful marketing and insider trading. The Vytorin Enhance Data showed no benefit for the Zetia/Zocor combination compared to Zocor alone. This created a scandal because of the late registration of the Enhance study, and accusations of insider trading, dumping stock in advance of the unfavorable results. Merck and Schering sat on the results of an unfavorable study for almost two years. They claim they haven’t peeked at the data, but Schering President Carrie Cox dumped 28 Million worth of stock back in the spring of 2007. 3) Two recent drug trials, ENHANCE and Torcetrapib showed no health benefit of lowering LDL cholesterol. ”ENHANCE (Vytorin) results were a big surprise and a big disappointment. The data show no benefit for ezetimibe (Zetia) on top of simvastatin (Zocor). In fact, the data on both the rate of progression of atherosclerosis and cardiovascular events are trending in the wrong direction. This is a pretty clear failure. Physicians should now stop using ezetimibe or Vytorin except as a last resort. The drug doesn’t work”. “The revelation that statin cholesterol drugs may be of little or no benefit, as revealed in a lengthy cover story in January 28 issue of Business Week (BW) magazine, begs the question: how did this misdirection go on for so long? But the cholesterol/statin drug ruse finally unraveled when, after two years of foot dragging delays to release data from a large study involving Zetia, a cholesterol-lowering drug that inhibits cholesterol absorption from foods, and Vytorin, which is a combination of Zetia plus Zocor, the latter a statin drug that inhibits formation of cholesterol in the liver, revealed no health benefits. Even though this drug combo lowered circulating cholesterol numbers better than either drug alone, it did not reduce plaque formation in arteries and did not confer a projected reduction in mortality. The Business Week report says statin drugs benefit only 1 in 100 users, but they claim to reduce the risk of a non-mortal heart attack by 36%. But that figure is a relative number, not a hard one. About 3% of patients taking an inactive placebo pill will experience a heart attack compared to 2% taking a statin drug, which produces the so-called 30-plus percent risk reduction. But in hard numbers, this is only a 1% reduced risk. This type of misleading advertising wouldn’t pass Federal Trade Commission guidelines. But public health agencies, serving as free publicity agents for the statin drug manufacturers, repeat the claim to give it a ring of credibility.” end quote from Bill Sardi on Lew Rockwell.com. Merck ran these these Cholesterol Lowering-Vytorin Televison Ads (see below) over the course of about a year spending 160 million dollars, allowing a windfall of 1-2 billion dollars on the sale of Vytorin. All the time they knew that the ENHANCE study showed that Vytorin didn’t work. Take at look at the TV ads that fooled a nation into spending a fortune for drugs that don’t work. The Vytorin Ads have been pulled, so you won’t be seeing them on national TV anymore. 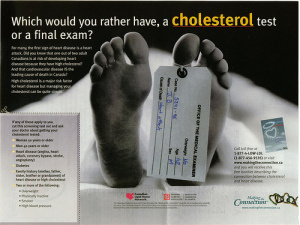 Click Here for “Vytorin Ad Shame Taints Entire Marketing Industry Cholesterol Drug’s Ad Campaign Turns Into PR Nightmare, Fanning Flames of Public Mistrust of DTC” by Rich Thomaselli Published: January 21, 2008 (22C). The New York Times dubbed the Jarvik Heart, “the Dracula of Medical Technology”. After 90 Jarvik Hearts were implanted,the Jarvik Artificial Heart was banned. All Jarvik Heart recipients died a slow agonizing death within 6 months from multi-organ failure and sepsis, and all recipients were given the Kevorkian option of ;assisted suicide with a key to turn off the machine, ending their lives. 1982: Seattle dentist Barney Clark, first Jarvik Heart Recipient Lived 112 Days. Would Barney B. Clark want Dr. Jarvik to sell Lipitor in television commercials? Click Here for a Wall Street Journal Article about Dingell’s Investigation asking why Jarvik was chosen to sell Lipitor (23). Can you imagine what Jarvik would think about Lipitor if Jarvik had an enlightening conversation with John Abramson, M.D., or actually looked at the J-Lit data shown in the chart below which shows that mortality is the highest at the lowest cholesterol and LDL levels, a result just the opposite to what one would expect if cholesterol lowering was beneficial to one’s health. Notice the lowest mortality (lowest red bar) is located at 240-250 total cholesterol, and as cholesterol is lowered below 230, mortality goes up. The LDL chart below shows the same findings. J-Lit Mortality Data Chart courtesy Eddie Vos, from Circ J 2002;66:1087–1095, Mortality is highest at lowest cholesterol vales. If Jarvik knew what this chart showed, would he then call a press conference recanting his position, apologizing to the nation for his part in the misleading and deceitful Lipitor Drug Ad campaign? Would Jarvik then tell the truth, and caution all women and elderly to avoid statin drugs ? If Doctor Jarvik has an ounce of moral fibre that is exactly what he should and must do. We are waiting. In 1970, Dr. Broda Barnes had 1,569 patients on natural thyroid hormone who were observed for a total of 8,824 patient years. These patients were compared to similar patients in the Framingham Study. Based on the statistics derived in the Framingham Study, seventy-two of Dr. Barnes’s patients should have died from heart attacks; however, only four patients had done so. This represents a decreased heart attack death rate of 95 percent in patients who received natural thyroid hormone–a truly remarkable finding. How Do Statin Drugs Work? Statin Drugs lower cholesterol by inhibiting the enzyme HMG-CoA reductase, which is the rate-limiting enzyme of the mevalonate pathway of cholesterol synthesis. Inhibition of HMG-CoA reductase also blocks production of Co-Enzyme Q10. How were Statin Drugs Invented? Statins are isolated poisons derived from the fungus known as red yeast rice (Monascus purpurus). Did you find this newsletter interesting? Feel free to Email it to a friend, or sign up for the newsletter with the link on the left sidebar. Can’t convince your doctor NOT TO prescribe statin drugs for you? Print this newsletter and give it to your doctor. 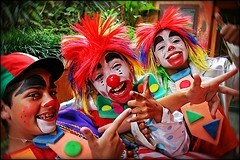 Vytorin video AD on You Tube 30 sec, Humorous clothes which look like the food. These adds have been pulled from natiuonal television. Lipitor Ad with Robert Jarvik 60 seconds. This ad has been pulled and no longer shown on national television. Statin Adverse Effects: Implications for the Elderly by Beatrice A. Golomb, M.D., Ph.D. Geriatric Times May/June 2004 Vol. V Issue 3. “No survival benefit with statin drugs is seen in elderly patients at high risk for cardiovascular disease (Shepherd et al., 2002). For patients older than 85, benefits may be more attenuated and risks more amplified (Weverling-Rijnsburger et al., 1997). In fact, in this older group, higher cholesterol has been linked observationally to improved survival. Preventive health care in elderly people needs rethinking, BMJ 2007;335:285-287 (11 August), “Preventive use of statins shows no overall benefit in elderly people as cardiovascular mortality and morbidity are replaced by cancer”. The End of Life: Euthanasia and Morality (Oxford University Press, 1986).] SUICIDE AND EUTHANASIA Barney Clark’s key to turn off artificial heart. The ads involving Jarvik had come under scrutiny from a U.S. House of Representative committee as part of an investigation into celebrity endorsements of prescription medicines.Democratic lawmakers had voiced concern that Jarvik’s qualifications were misrepresented in widely seen TV commercials touting the blockbuster drug. They said Jarvik seemed to be dispensing medical advice even though he is not a practicing physician.